Lyndell Brown & Charles Green, 100 Years of Turbulence, 2017, inkjet on rag paper, 125 x 450 cm. LYNDELL BROWN + CHARLES GREEN and CYRUS TANG will feature in the 2019 Castlemaine State Festival, March 22 - 31. Here are Charles & Lyndell preparing the work they are exhibiting, 100 Years of Turbulence. Maria Fernanda Cardoso, Intromittent organ of the Allonuncia Grandis (Harvestman) Opiliones, 2009, archival pigment print, 2002 x 90 cm. MARIA FERNANDA CARDOSO is included in La Vuelta at Museo De Arte Moderno de Medellín, Colombia. La Vuelta showcases the work of twenty-six Colombian artists and photographers of different generations. For the traditional genres of portrait and landscape photography to experimental and investigative practices, the exhibition explores how contemporary artists who use photography and its expanded forms perceive and experience the varied and changing cultural, social, and political landscapes in a country marked by a history of sixty years of armed conflict. The exhibition continues until 17 February. Honey Long & Prue Stent, Venus Milk, 2015, archival pigment print, 106 x 159 cm. HONEY AND PRUE are included in the exhibition Anticipation is part of the seduction opening today 5 December at Blindside, Melbourne. The exhibition is part of their Emerging Curator Mentorship Program, curated by Jonathan Homsey with Hannah Mathews as a mentor. Exhibition Dates: 5 - 22 December. 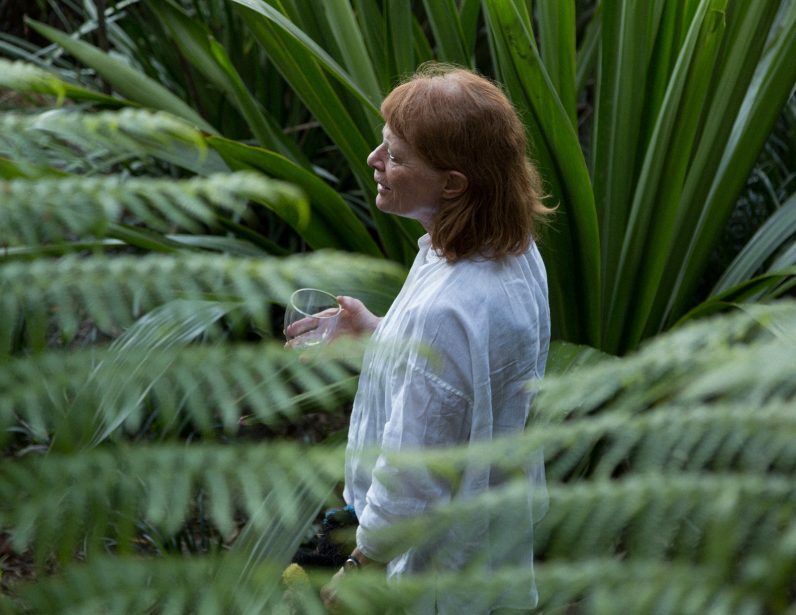 JANET LAURENCE is included in the wonderful book The Plant Hunter: Truth, Beauty, Chaos and Plants. Maria Fernanda Cardoso, On the Origins of Art I and II, 2016, Film Still. 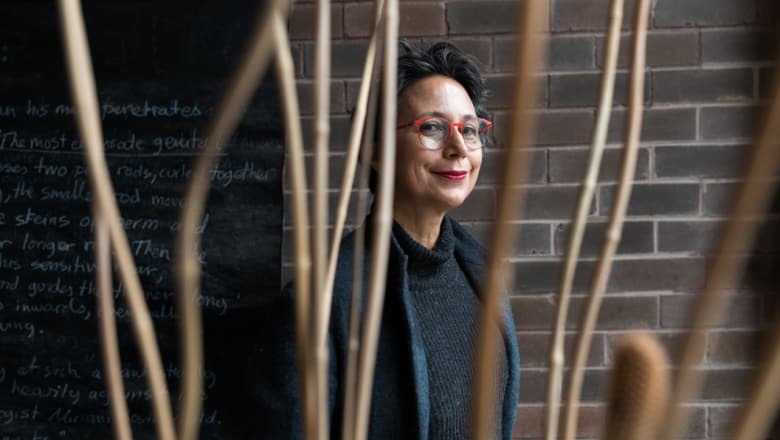 Elizabeth Ann Macgregor, Director of the Museum of Contemporary Art, discusses MARIA FERNANDA CARDOSO on this week's 'Self Improvement' with Richard Glover on ABC Radio Sydney. Major works by Cardoso, including her video work 'On the Origins of Art I & II' have been acquired by the Museum of Contemporary Art and the Tate, as part of a joint acquisition program that aims to bring Australian art into the international spotlight. 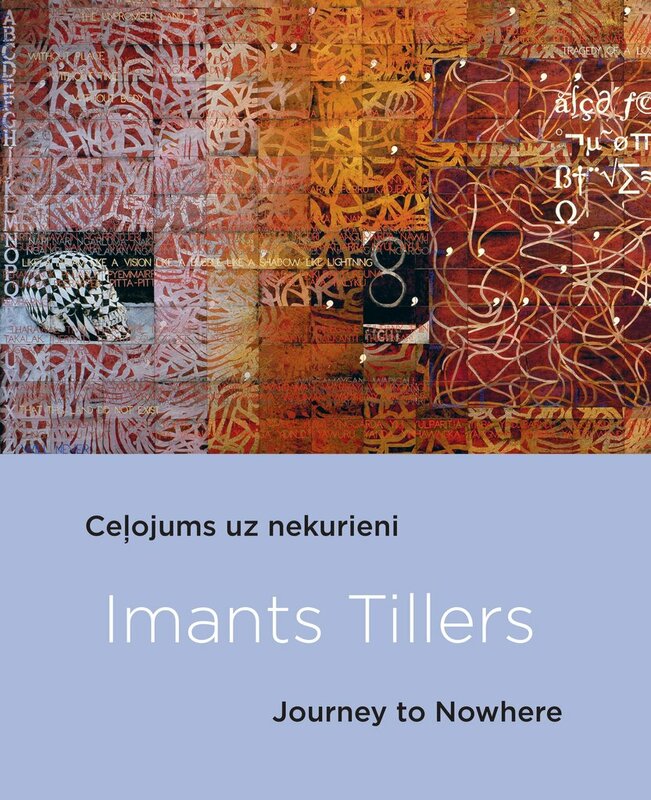 Co-published by Power Publications, Sydney and the Latvian National Museum of Art, Riga, the major monograph 'Imants Tillers: Journey to Nowhere' was launched at the MCA on Wednesday 21 November and is now available in Australian bookshops. TRACY SARROFF and NIKE SAVVAS are included in the exhibition 'Curiouser & Curiouser' at Bathurst Regional Art Gallery. Curated by Julian Woods, the exhibition takes inspiration from the opening passages of Lewis Carroll's book 'Alice's Adventures in Wonderland', exploring ideas of time, perception, the inexplicable and tactility. 'Curiouser & Curiouser' opens on 14 December. Tracy Sarroff, Cyber Plant – Blue, 2012, acrylic, fluorescent light, 14 x 14 x 127cm. The Museum of Contemporary Art is presenting with the Power Institute, the Australian premiere screening of the feature-length Imants Tillers documentary Thrown into the World, directed by Antra Cilinska of Juris Podnieks Studio, and the launch of the Imants Tillers’ new monograph, Journey to Nowhere. The screening will be followed by a short Q&A with Professor Mark Ledbury and Imants Tillers. *Please note that this event is sold out. Contact the MCA to go on the Waiting List. 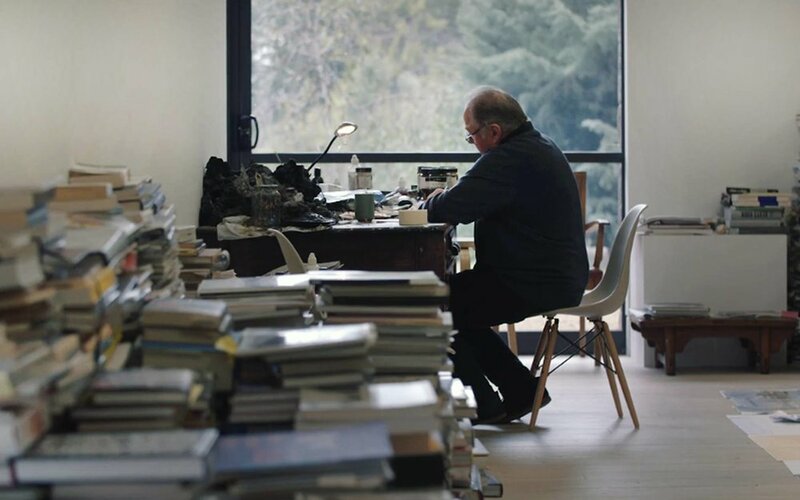 Imants Tillers, Studio, Image Courtesy of Museum of Contemporary Art. 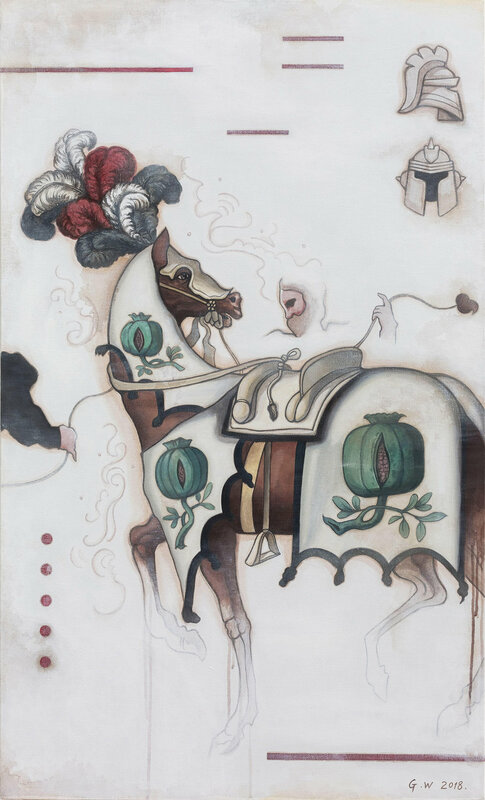 ARC ONE is delighted to present Chivalry, an exhibition of new paintings and sculptures by one of Australia’s leading contemporary artists, Guan Wei. 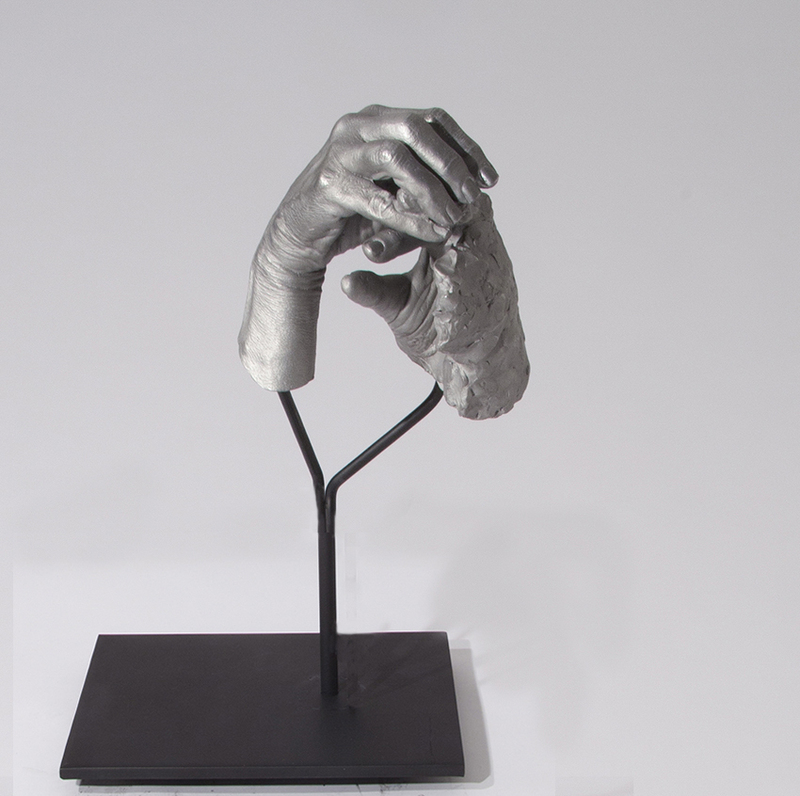 An opening reception will be held on Wednesday 14 November, 6-8pm, with opening remarks by Claire Roberts. has combined Australian and Chinese influences to weave profound narratives of loss, migration, identity, colonisation, and place. Working across painting, sculpture and installation, he merges eastern and western philosophies, art histories, eras and empires, signs and symbols, to create imaginary cross-cultural realms that explore contemporary issues and hopes for a better world. Guan Wei’s latest exhibition at ARC ONE Gallery presents three bodies of work: Chivalry, a suite of paintings laden with philosophical meaning; Mascot, playful bronze sculptures depicting humorously anthropomorphised mythical creatures; and the monumental Treasure Hunt, a major new tapestry woven by the Australian Tapestry Workshop. In Chivalry, Guan Wei examines ideas of honour and virtue through a series of theatrical tableaux inspired by the Middle Ages. “I have been seeking new directions in my painting for many years”, says the artist, “exploring new possibilities and making breakthroughs from my existing style toward new territory. Quite unexpectedly, reading and learning about the knights of the Middle Ages was a turning point in me. I was mesmerised by their stories.” Utilising the flowing rhythm of Eastern ink painting, calligraphy, and sketching, Guan Wei brings the realm of medieval fantasy to life. Noble jousts, sword-fights, romantic adventures, and heroic gestures, play out across his canvases evoking ideals and values that were once used to navigate lives. In the face of increasing alienation, digitalisation, virtual reality, and global change, Chivalry invites us to reflect on our humanity. Woven by Chris Cochius, Pamela Joyce, Jennifer Sharpe and Cheryl Thornton from the Australian Tapestry Workshop, Treasure Hunt is inspired by a large painted mural from Guan Wei’s exhibition Other Histories at the Powerhouse Museum, Sydney in 2006. Drawing on Chinese and European mythologies, the work considers ‘other’ histories and the intersection of Indigenous and colonial cultural narratives. Through the depiction of the oceans, islands and desert interiors, Guan Wei references navigation, exploration, migration and the influence of, and response to, globalisation. Guan Wei was born 1957, Beijing, China, and lives and works in Beijing and Sydney. He has won many awards, including the 2015 Arthur Guy Memorial Painting Prize, Bendigo Art Gallery; Sulman Prize, Art Gallery of New South Wales, 2002; and was selected for the prestigious 2009 Clemenger Contemporary Art Award, National Gallery of Victoria. Solo exhibitions include: Cosmotheoria, White Box Art Center 798 Art District Beijing, 2017; Guan. Perspective, Scene Sense Art Gallery, Beijing, 2017; Salvation, ARC ONE Gallery 2016; Archaeology, ARC ONE Gallery, 2014; Spellbound, He Xiang Ning Art Museum, OCT Contemporary Art Terminal, Shenzhen, China, 2011; The Enchantment, ARC ONE Gallery, 2012; Other histories: Guan Wei’s fable for a contemporary world, Powerhouse Museum, Sydney, 2006– 07; Looking, Greene St Studio, New York, 2003; Zen Garden, Sherman Contemporary, Sydney, 2000; and Nesting, or the Art of Idleness 1989–1999, MCA, Sydney, 1999. Major group exhibitions include: The Archibald, Wynne and Sulman Prizes exhibition, AGNSW, Sydney, 2017; Closing the Distance, Bundoora Homestead Art Centre, Bundoora, Victoria, 2017; Borders, Barriers, Walls, Monash University Museum of Art, Melbourne, 2016; Collaborative Witness: Artists responding to the plight of the refugee, University of Queensland Art Museum, Brisbane, 2011; Shanghai Biennial, Shanghai Museum, China, 2010; 10th Havana Biennial, Cuba, 2009; The China Project, Queensland Art Gallery, Brisbane, 2009; Handle with Care, Adelaide Biennial of Australian Art, Adelaide, 2008; Face Up: Contemporary Art from Australia, Hamburger Bahnhof Museum, Berlin, 2003–04; Sulman Prize Exhibition, Art Gallery of NSW, Sydney, 2002; Osaka Triennial, Japan, 2001; Man and Space, Kwangju Biennale, South Korea, 2000; Third Asia-Pacific Triennial of Contemporary Art, Queensland Art Gallery, Brisbane, 1999. In 2019 the Museum of Contemporary Art, Sydney, will present a major installation of Guan Wei’s work, which will include his 18-metre-long multi-panelled painting, Feng Shui, and works from the MCA collection. Guan Wei, Chivalry No. 11, 2018, acrylic on linen, 180 x 140cm. Guan Wei, Chivalry No. 1, 2018, acrylic on linen, 130 x 80cm. Guan Wei, Chivalry No. 5, 2018, acrylic on linen, 130 x 180cm. Honey Long & Prue Stent, Rock Form III, archival pigment print, edition of 5, 72 x 108cm. HONEY LONG & PRUE STENT are featured in issue 45 of Artist Profile, out today. The collaborative artists have written about their process: "As two friends who first started working together when we were sixteen years old, our artistic process sprung from a place of curiosity, impulse and desire. This sense of playfulness has become the foundational element with which we continue to work. Although precognitive at the time, we seemed to recognise a mutual desire to explore our female bodies, sexuality and surrounding natural environment as a way of feeling connected to the space we were occupying." PETER DAVERINGTON was interviewed on 2 November by ABC Sydney’s Christine Anu for her Evenings radio program. Peter had an in-depth conversation with Christine about The Raft of the CLAN, the work’s commission and unveiling at Parliament House, his practice, the meaning of the different elements within the work, and his beginnings as a graffiti artist. Works from MARIA FERNANDA CARDOSO's series 'It's Not Size That Matters, It Is Shape' have been included in the exhibition 'Digital Animalities: Rendering' at CONTACT Gallery in Toronto, Canada. The exhibition explores human animal interactions, with a focus on the evolving space of animality in contemporary digital culture. The exhibition is now open and continues until 15 December. Maria Fernanda Cardoso, Intromitent organ of the Thelbunus mirabilis (Tasmanian harvestman) Opiliones from the series It’s not size that matters, it is shape, 2008-09, resin, glass, metal, 28 x 6 x 6cm. PHAPTAWAN SUWANNAKUDT's work is included in the Bangkok Art Biennale. Her installation 'Knowledge in Your Hands, Eyes and Minds' consists of a soundscape, herbal aroma and a hanging mirror, as well as murals and paper cutouts of Thai folklore characters. The Bangkok Art Biennale continues until 3 February, 2019. Phaptawan Suwannakudt, Knowledge in Your Hands, Eyes and Minds, Installation View, Bangkok Biennale, 2018. Jacky Redgate, Light Throw (Mirror) #4, 2009-10, C-Type phoograph (hand-printed from original negative), facemounted to UV perspex. JACKY REDGATE and ANNE ZAHALKA are included in the exhibition Robyn Stacey: as still as life. Drawn from MGA's collection, Jacky Redgate and Anne Zahalka's works are part of an exploration of still life photographs, which place the genre and Robyn Stacey's work into context. The exhibition opens 24 November and continues until 3 March 2019. Peter Daverington, Portrait of Rafael Bonachela, 2018, oil on canvas, 199 x 153cm. Congratulations PETER DAVERINGTON for his selection as a finalist in the 2018 Doug Moran National Portrait Prize with his stunning portrait of Rafael Bonachela, the director of the Sydney Dance Company. Cyrus Tang, A Simple Life (118), 2018, archival pigment print, 65 x 65cm. Cyrus Tang received the Colour Factory Honourable Mention for her work 'A simple life (118 minutes)', 2018 from her series 'Golden hour', as part of the William & Winifred Bowness Photography Prize. HONEY LONG & PRUE STENT and CYRUS TANG have been selected as finalists in the Josephine Ulrick and Win Schubert Photography Award 2018. The winner of the art price will be announced on 19 October, and an exhibition with the finalists will open on 20 October and run until 25 November at HOTA in the Gold Coast. ANNE ZAHALKA will be part of Civilization: The Way We Live Now, a major photography exhibition at the National Museum of Modern and Contemporary Art of Korea (MMCA). The exhibition, which comprises over 300 works depicting life in the 21st century, will be open from 18 October to 17 February 2019, and will then travel to different art institutions around the world, including the National Gallery of Victoria. Zahalka will be showing her Open House series from 1995. To view Zahalka’s Open House series, click here.